In the interpretation of any text, there is a narrow context and a broader context. One must consider both if one desires to learn the whole truth, and cannot expect to have discovered it until then. The narrow context of the passage can only tell us who the characters are in our little poem, and what happened to them in these few short lines. - who were Jack and Jill, really? Were they rich or poor, young or old? Married, dating, or too young to be dating? Still in school or working? - why did Jack fall down in the first place? And how serious an injury was the breaking of his crown? How badly hurt was Jill? - Did anyone come to their rescue? Did they survive their hill-climbing and water-fetching ordeal? As you can see, there is much information that we don't know about our friends Jack and Jill. If we had more data, then obviously we could answer all our other questions. But without this data, some might be inclined to make presumptions about our hero and heroine that are totally without basis. "Jack and Jill were Zionist agents on their way to murder innocent Muslim children when they were assassinated just in time by a Jihadi sniper. That is why they fell down the hill." Ridiculous, I know. That is nothing more than baseless and fanciful opinion, I understand that, but that is exactly what these folks are doing when they misinterpret Yeshua's (Jesus') words in Luke 18:19. They pluck out the part of the verse that they like, and ignore the broader context of not just the chapter, but of the entire Gospel of Luke. 19 Yeshua said to him, “Why are you calling me good? No one is good but God! 23 But when the man heard this, he became very sad, because he was very rich. 24 Yeshua looked at him and said, “How hard it is for people with wealth to enter the Kingdom of God! 30 will receive many times as much in the ‘olam hazeh, and in the ‘olam haba eternal life. Salvation, or how one can be saved. The first verse (v. 18) talks about eternal life, and so does the last verse (v. 30), bracketing the entire passage. Salvation is discussed in every verse from vv. 18-30. The conversation begins with the young ruler asking Rabbi Yeshua what he must do to go to heaven, and it ends with Jesus promising rewards in that heaven to those who have given up temporal pleasures and desires to pursue the Kingdom of God. Now, when the Gospels say that the young man was a ruler, this means that he was, at the very least, not just influential in his synagogue, but possibly even the ruler of one. As such, the young man would have been learned in the Law apart from being highly-regarded in society. Yet, even though he had lived a life that was morally beyond reproach, he was aware that there was still something he lacked. That is eternal life: a relationship with God. Jesus said, the key to eternal life isn't what you do, it's Who you know. But there was the young man's problem: he didn't know Who it was he was speaking to. All he was thinking was, what more can I do to get myself into heaven? For him, it was an issue of, "What do I do?" rather than "How do I get to know God?" "Why are you calling Me good?" Even if the young man was attempting to flatter Jesus with his greeting, it would not matter. Jesus constantly encouraged those who He dealt with to search their hearts and re-examine their beliefs about themselves and their relationship with God, just as He did in Luke 5:21-24; 6:8-9; 7:31-35, 7:40-50, John 3:1-21, 4:7-26, for example. This young man would be no exception. Jesus always cut to the chase, He always went to the core issue: the issue of the man's heart and whether he was prepared to hear the answer, act obediently upon it and by doing so receive eternal life. You will never be "good enough" because only God is good. Did you notice that? Did you notice what Jesus said to the man who had everything? Let go of all that, and come... follow ME. The young man had kept the Law all his life, but was unwilling to let go of his idol, his wealth -- the one thing that was keeping him from a true and full relationship with God -- to follow Yeshua. So much for being "good." Throughout the rest of the passage, Jesus explains how the way to eternal life involves loving God above all else and allowing nothing to come between us and our relationship with Him. Unfortunately, Muslims and other unbelievers discard everything else we have seen above to focus on just one part of verse 19, in which Yeshua says, "No one is good but God!" and then claim that this is Jesus denying His own deity! Some have even gone so far as to turn Yeshua's interrogatory question, “Why are you calling me good?" into “I am not good!" But Jesus said nothing of the sort, not in this passage or any other. Jesus is named as God in the New Testament. He is worshiped as God and never refuses the worship. He calls Himself by The Name and uses titles that rightfully only belong to God. And that is our broader context. 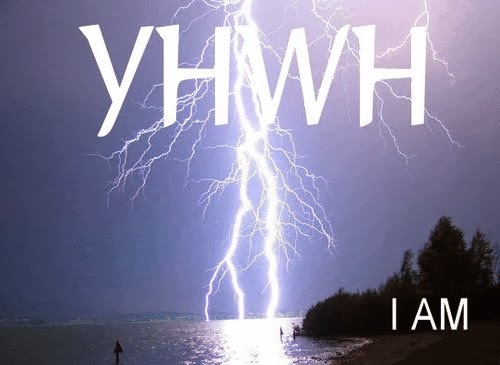 Jesus cannot be saying in v. 19 that He is not God because the Gospel writer tells us in passages previous and following that Yeshua is YHWH come in the flesh. 33 He will reign over the house of Jacob forever, and His kingdom will have no end." There are many other examples, but let us close with one of the most definitive claims made by Jesus. 70 And they all said, Then are you the Son of God? And He said to them, You say it, because I AM! From His very own lips, we have seen His declaration. And yet the rich young ruler missed it! The Lord of the universe was standing right in front of him, and yet the young man couldn't see Him for Who He was... all because his heart and mind were trapped in a love affair with his possessions. If you're more concerned today with anything other than your relationship with the God of Abraham, Isaac and Jacob, then you are in the same boat as the rich young ruler, and heaven is closed to you. So do yourself a favor. Repent of your sins right now and call on Yeshua to save you. He will rescue you no matter your situation. Because with God, what is impossible humanly is possible with God! With thanks to Ptr John Samson, substitute host on Dr White's podcast "The Dividing Line," for his very timely and excellent discussion of the Luke text above, and to my fellow E-MAMs, who helped put this together. God bless you, guys! It is my honor to serve the Lord with you!